Bloxels Video Game Board Just $16.99! Down From $60! PLUS FREE Shipping! You are here: Home / Great Deals / Amazon Deals / Bloxels Video Game Board Just $16.99! Down From $60! PLUS FREE Shipping! Hurry over to Amazon where you can score this Bloxels Build Your Own Video Game for just $16.99 down from $59.99 PLUS FREE shipping! 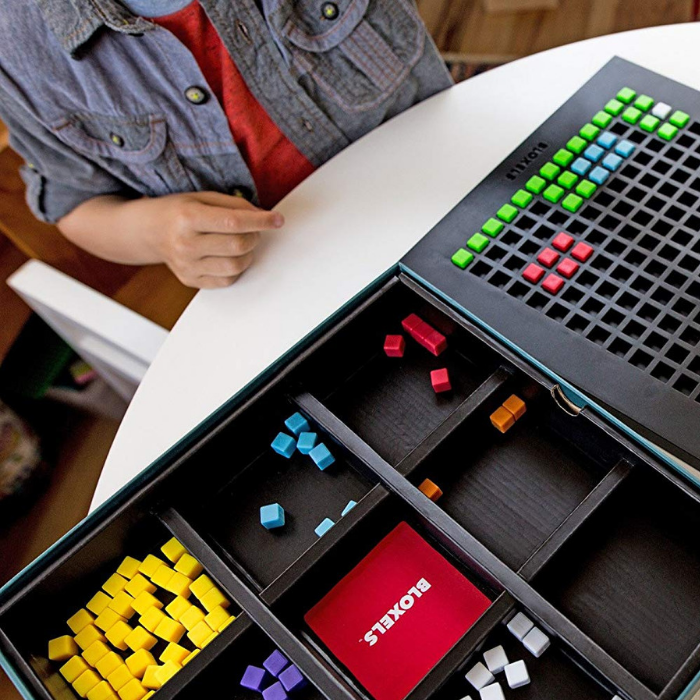 Build your own video games with Bloxels! The innovative video game creation platform makes concepting and execution easy. Watch your game world come to life as you create and animate play spaces, characters and objects because you are the artist, game designer, storyteller, programmer, publisher AND player! The physical pieces in the Bloxels game set work with the free Bloxels Builder app to digitize your creations, put them on-screen and make them playable. Just download the FREE Bloxels Builder app to your smart device (not included) to get started. Then use the 13 x 13 Gameboard and colored blocks to design a room, create the art for game elements and bring your heroes and villains to life. When creating game rooms, each color in your design represents a different element, like terrain, water or a hazard.